Mongoose are weasel like creatures found in India, Africa and some other countries. Only little larger than house cats, mongooses are famous as snake killers, especially of cobras. In “Rikki-tikki-tavi” Rudyard Kipling tells the story of a little mongoose that kills a king cobra, on of the most poisonous snakes in the world. Actually, the mongoose only attacks a cobra when it is hungry. When it gets within striking range, the mongoose bristles out its fur and makes feint, leaping forward and away to provoke the snake into striking. The mongoose is not immune to the cobra’s poison. It simply depends on its speed to dodge the cobra’s deadly fangs. Some birds spend all their time far out at sea, except when they are nesting. The albatross is one of these birds. 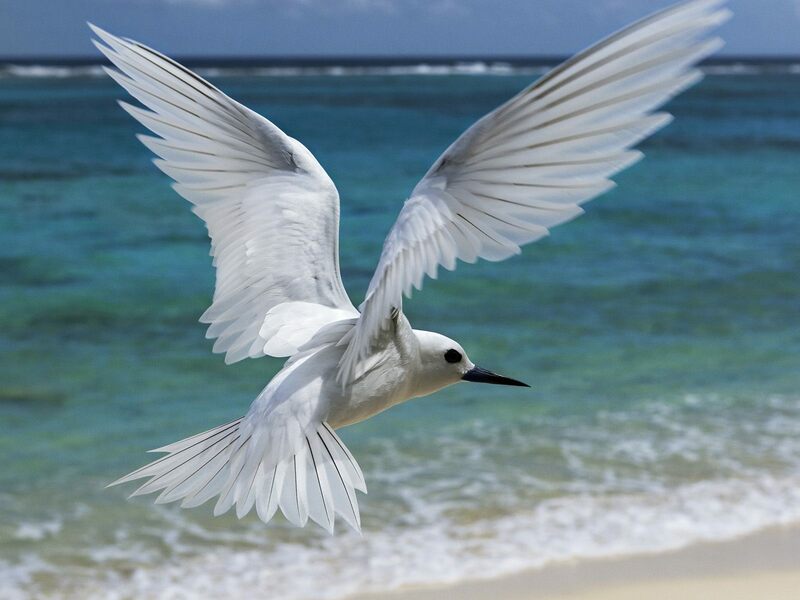 It is a large sea bird resembling an overgrown sea gull. 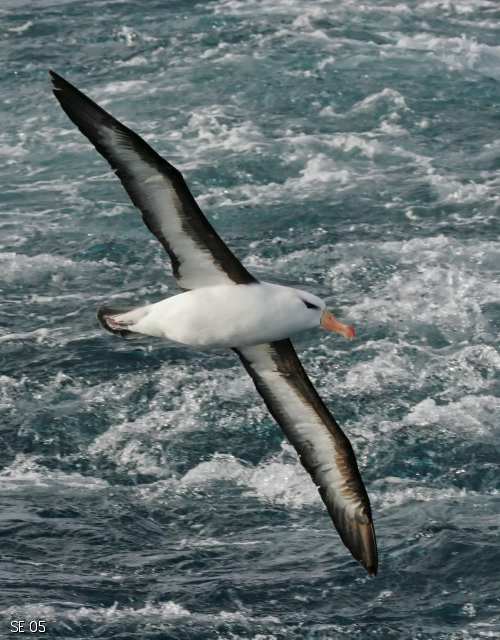 Albatross are found roving over nearly an ocean except the North Atlantic. They often follow ships for days and feed on the garbage that is thrown overboard. Their long, narrow wings, allow them to soar behind a ship for hours with barely a wing beat. Albatross sit down on the water to eat and scoop up the scraps of food with their yellow, hooked beaks. They also eat fish. The best known albatross is the wandering albatross. This magnificent white bid has the longest wingspan of any living bid. How did the stone fly get its name? The stone fly is a curious insect that is hatched under water. It gets its name because the nymph, or young, are generally to be found under stones in brooks or streams. When mature, the nymph crawls out of the water and shedding its skin, becomes an adult stone fly and lives among the stones and brush along the banks. 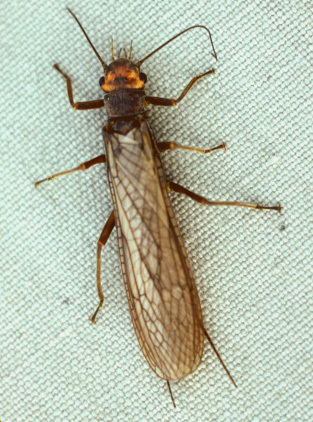 And adult stone fly may be from ½-inch to 2 inches long and is often colored to match its surroundings. The hind pair of its four wings is so long that it is folded flat over the back when the insect is at rest. Despite its wings, it is a poor flyer, and when disturbed it generally scuttles away rather that fly to safety. As a result of pollution of rivers, stone flies have disappeared from many places where they were found in great numbers a few years ago. Birds have something that no other animal has—a covering of feathers. These feathers help birds to fly and also keep them warm. Birds have two main kinds of feathers: “contour” and “down”. called “contour” feathers. These feathers streamline the body and help the bird fly smoothly through the air. “Down” feathers are the soft, fluffy feathers found under the outer feathers. Down feathers provide warmth. Waterbirds have extra-thick coats of down. That is why the ducks we see in the wintertime padding about in icy water are not cold. Feathers wear out, just as clothes do, and need to be replaced. 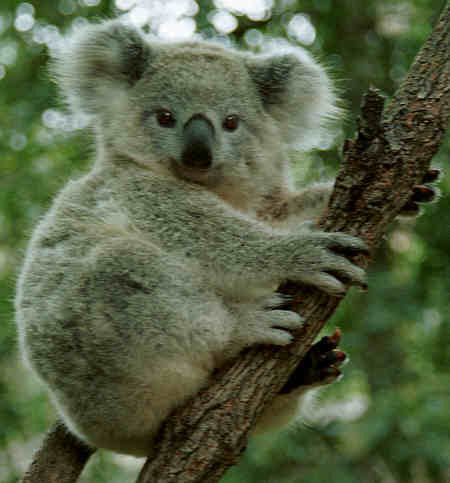 The koala bear is a small, wooly animal found only in Australia. patent-leather nose and shoe button eyes. In fact, koalas are popularly known as Australian teddy bears. They are not real bears, of course. They are pouched animals. Baby koalas are carried in a pouch when they are fist born. A koala makes its home in a special king of tree—the eucalyptus or blue gum tree. It holds onto the tree branches with its sharp claws and feeds on the oily leaves. At one time you could see many koalas in zoos, but now there are only a few. The koalas were hunted for their fur until they were in danger of disappearing from the world. A dragonfly is a graceful, swift-flying insect with a long, slender body and four filmy wings. Dragonflies are found in almost all parts of the world and are frequently seen on warm summer days patrolling the edges of ponds and streams as they look for food. 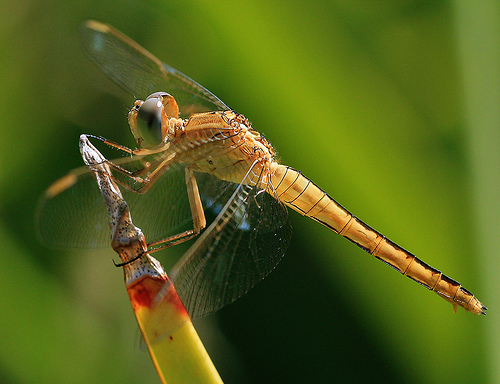 Large, compound eyes made up of many tiny eyes cover most of the dragonfly’s head. With these big eyes it can see its prey easily. As it flies through the air, the dragonfly holds its legs together to form a basket in which to capture mosquitoes, flies and other insects. The female dragonfly drops its eggs in the water where they hatch into wingless larvae, called nymphs. The young dragonflies live in the water from one to three years, then become adult dragonflies. Does the turtle have a voice? The turtle doesn’t have a voice in the way we usually think of a voice. but many turtles, such as the giant land turtle, can hiss, crunt and even roar loudly. Turtles are animals that are easy to recognized by their shells. If you own a pet turtle, you have probably noticed that the turtle never seems to “talk”. You may wonder if it has a voice at all. In the way we usually think of a voice, the answer is “no”, as far as most turtles are concerned. 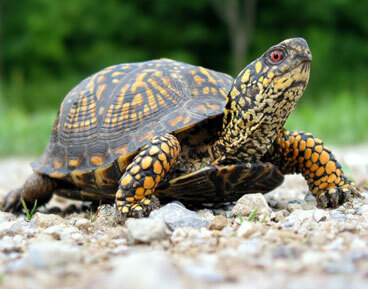 Turtles seldom emit sounds, except during the nesting season. Even then many can do little more that make a feeble piping sound or grunting to loud roaring, which can be heard for a quarter of a mile. Some turtles hiss loudly when they are alarmed. A few sea turtles can five a loud cry of anger or a “plea for mercy” when captured by an enemy.